A. 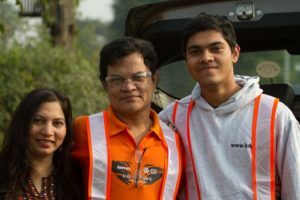 My name is Swati and I am an entrepreneur, blogger, a passionate learner and a mom to my 20 year old son, Aasim who is currently studying abroad. A. 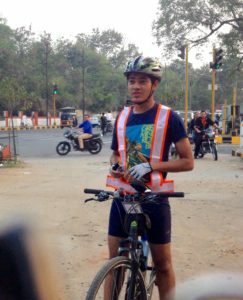 As a young woman, I always cycled everywhere, intact I commuted on my ever reliable BSA SLR cycle till I shifted to Bombay for a job – after which I picked up cycling after my son, who was home during vacations after his 11th std started cycling for pleasure and health. That year he and my husband did their first 200 km Brevet while I was clocking the distances of 50-60 kms. So in our family, everyone is a cycling enthusiast. A. It started because I am a mom of a cyclist. A. That they are becoming independent and are health conscious- a fit mom will have fit children. Q. Did you train /ride during your pregnancy? What’s one thing that could improve your experience as a cyclist? Also, what activities help your cycling? A. I wish I did. It would have been great. A. Like I said, a cyclist son inspires me to be a cyclist mom. A. He was happy. The first time I attempted my 200 km Brevet, it was hot and humid (45 deg C and 80% humidity and very strong winds in the month of June and it was a tough Brevet only 3 out of 20 riders could finish it ) my son was there in the support car and took care on every check point that I ate and kept hydrated – it was a huge motivator – so while people were quitting I kept going and had finished 139 kms when the heat and wind made it impossible to finish the Brevet on time. Q.Do you think it’s important for parents to ensure their kids have enough playground time? A. Indeed. Outdoor play is extremely important for brining up a balanced human being. A. Keep loving yourself and keep pedaling.